How can I tell if I have RushCard LIVE or another RushCard? The RushCard Live Reloadable Prepaid Visa Card is issued by Green Dot Bank. MetaBank® is not affiliated in any way with RushCard Live and, therefore, does not endorse or sponsor it. RushCard LIVE cards have LIVE printed in the upper right corner. In addition, the first 4 digits of RushCard LIVE card numbers are 4373. Other RushCards have 4104 as the first 4 digits of their card numbers. Is the RushCard Live Reloadable Prepaid Visa Card different than the Prepaid Visa RushCard? RushCard Live is different from other RushCards. 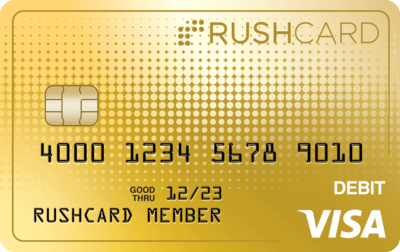 RushCard Live Reloadable Prepaid Visa Cards are issued by Green Dot Bank. MetaBank® is not affiliated in any way with RushCard Live and, therefore, does not endorse or sponsor it. You may pick up a RushCard Live anytime at thousands of retail locations nationwide. If you have a RushCardLive and need customer service, please visit www.RushCardLive.com or call the dedicated RushCard Live customer service number, 888-569-7730.